The adventure that will change your life! 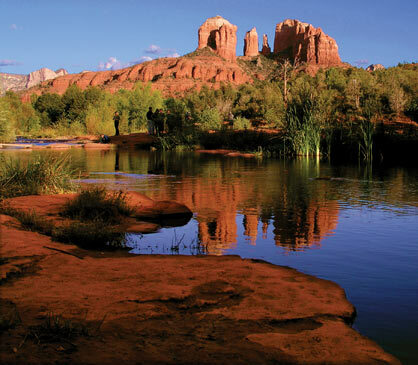 People come from all over the world to Sedona to experience these profound Power Spots of earth’s magnetic magic. Learn about the living spiritual forces of Sacred Spaces. These forces are about who you are and could be. It’s the only destination that matters—the healthiest, happiest you! Native American Ceremonies Celebrate You! Native peoples use powerful traditions to stay happy and healthy—and flow easily through life transitions. Everything you need to enhance your life is right here, right now. Tap into eternal earth energies for profound transformation, inner peace and healing. Play. Spark creativity. Awaken intuition. Recharge your spirit. It’s your perfect vacation. A retreat for your soul. We take you to off-the-beaten-track sites—where you have more privacy & fun. Where magic happens! We’ve personally experienced the magic and mystery, the power and profound transformation of the sites and ceremonies we offer. We customize each adventure for the people who come. We listen and respond to your requests on the spot. Keith has spent 30 years opening people professionally and privately to the transformative power of Nature. His first-hand experience and authentic, supportive space acts as a bridge for others to enter these realms more easily and confidently. Keith has dedicated his life to helping people grow, heal, play, succeed and embrace life. He’s applied his approach to personal dynamics as a life strategy coach, international seminar leader, therapist, acupuncturist, gardener, author, filmmaker, radio talk show host, owner-chef of two gourmet restaurants and vice president of the country’s largest natural food company. When not exploring consciousness in the canyons of Arizona, he travels around the world assisting people to open to life’s wonders and surprises in his Sedona Nature Adventures and Dream Workshops. An ancient way for happiness today! Time-proven tools to attract love, health and wealth. Native Traditions applies traditional spiritual teaching to everyday modern challenges—inspiring you to live in harmony and cooperation with natural and celestial forces. Native peoples used simple, powerful traditions to stay happy and healthy—and flow easily through life transitions and challenges. Native Traditions teaches you how to get full benefit from Sacred Sites—and how to activate these vital energies back home. Embark on a rewarding adventure that merges myth, mirth, meditation, native medicine, and Mother Earth. Connect to the Great Spirit. 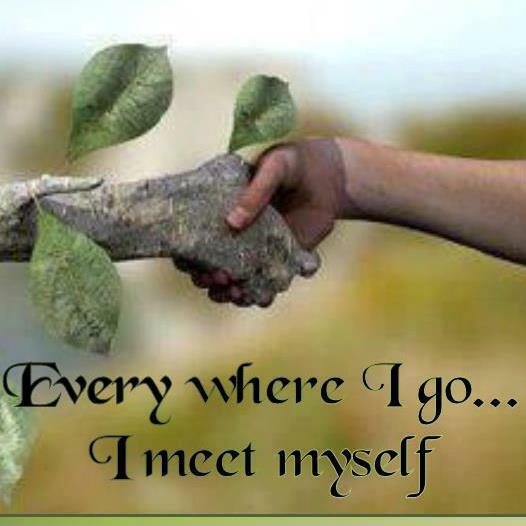 Use the earth energies for personal transformation. Gain clarity of purpose, power and passion. See your life clearly, face fears, let go of the past, and find a guiding vision for your future. Release outmoded ways of being and open to new beginnings. Allow the land to gift you with peace, empowerment, emotional release and joy! Get answers through Native American Ceremonies: Do Medicine Wheel. Build Ancestral Altar. Make your personal Medicine Pouch. Meet your Spirit Animals. Become a Sacred Earth Walker. Explore Sacred Sites: vortexes, labyrinths, Indian ruins, cliff dwellings, rock art. Short, easy walks. Attend as 1, 2 or 3 day event. A spectacular outdoor vision quest where you employ the physical universe as an accurate, liberating reflection of your own consciousness. Double your chances of getting the message from Spirit by reading the outer signs from your inner guidance. Transform lessons absorbed in wild spaces into concrete results in the urban canyons back home in order to enrich your work, relationships, health and finances. Learn to use Nature to create the love your heart longs for, a job with soul and passion, recharged vitality and health, the courage to find life purpose, renewed personal creativity, and the clarity to make wise life choices. Easy walking along tree-shaded streams in 3 magical canyons, motel or camping at night.